This video is pretty much self explanatory. 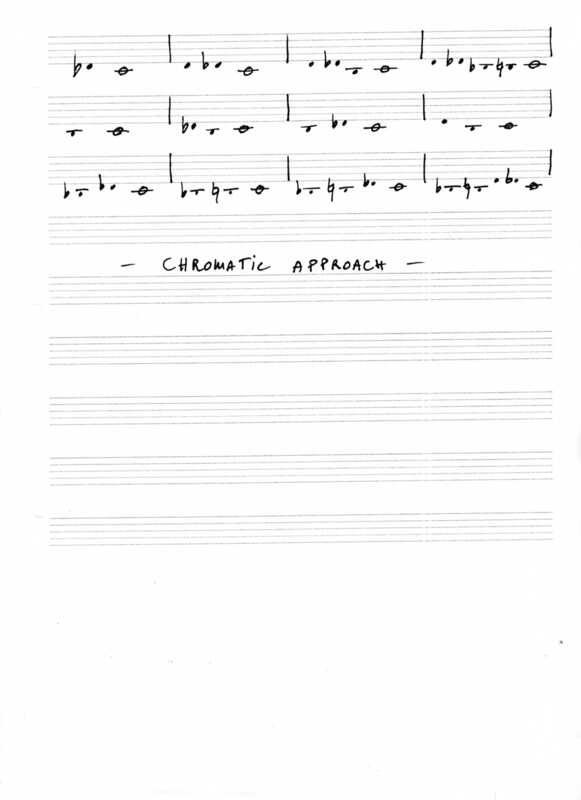 Chromatic approach notes are just notes that live half a step above or below the note we want to target. We can put together more than one approach note and string them together to do a more complex approach. Usually the target note will be a chord tone sitting on a strong beat (remember the Harmonic Rhythm concept?). All you have to do is to add chromatic approach notes to your arpeggios, phrases, or single notes to embellish your melodies. Just listen to the examples I play in the video to get some ideas. Check out the following PDF file for the most common 12 chromatic approaches.